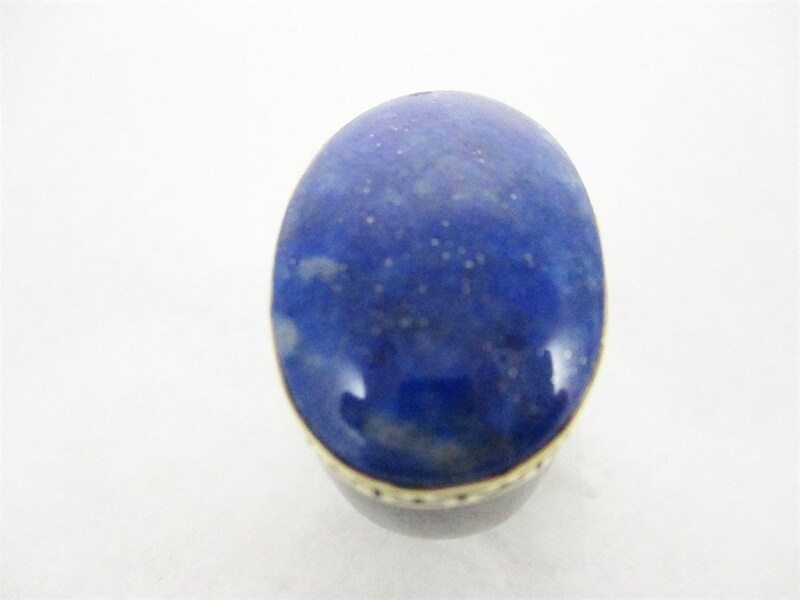 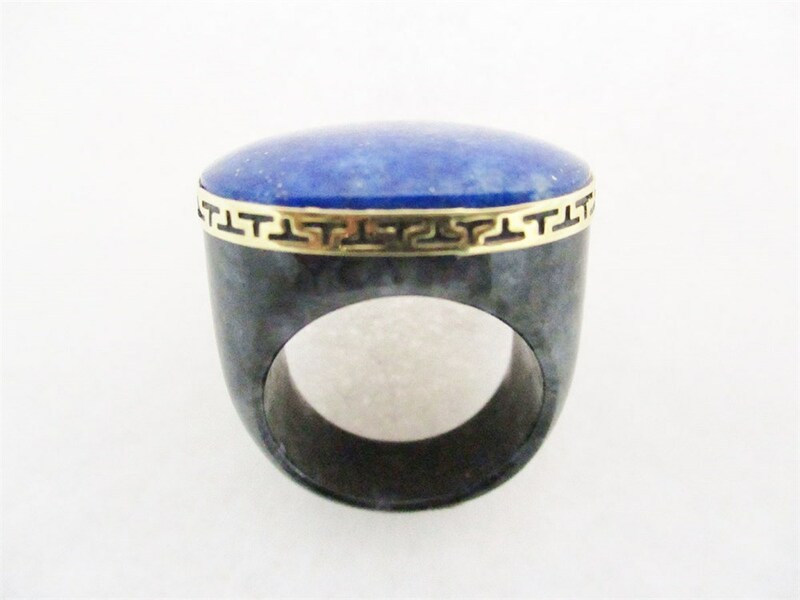 This size 7-1/2 ring from China features a large (approximately 22mm x 17mm) lapis as its centerpiece. 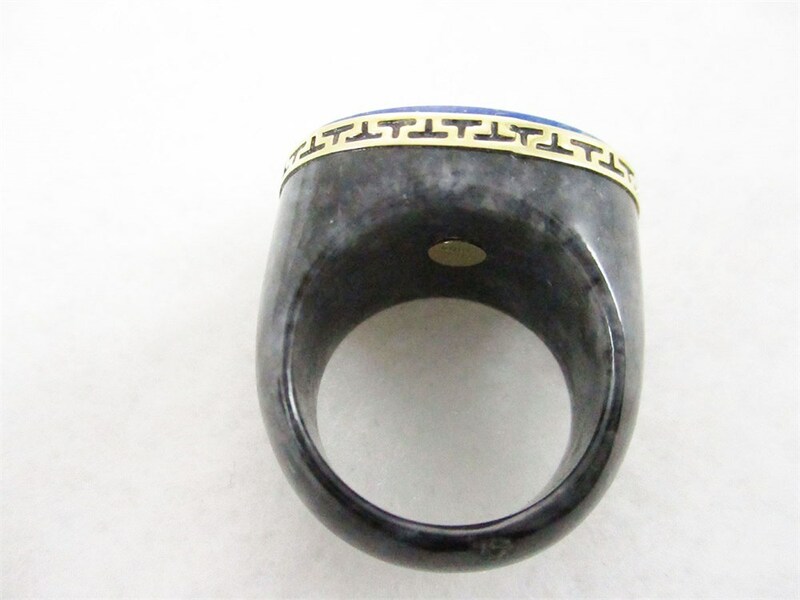 It is accented with a 14K gold pattern around the top of the black jade band. This ring is not sizable. 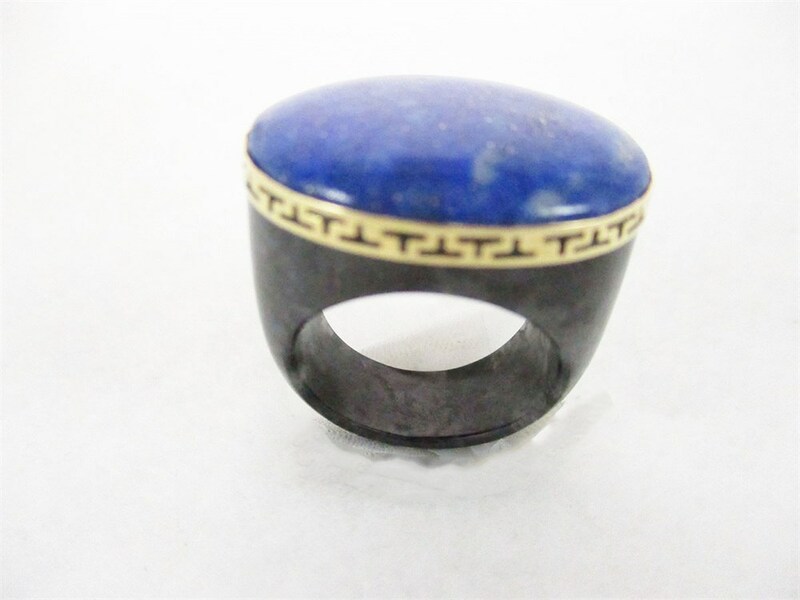 Approximate total weight is 15g.